My favorite year-end tradition here at Tableau Public is our annual review. And it’s clear that 2015 has been a year of tremendous growth. Just look at the number of views our top five vizzes have earned. This year we saw a huge jump in the number of views needed to rank among the top five. Last year's top viz saw 2.7 million views. And this year, the same viz held on to its top spot, earning an astounding total of 21.7 million views. Here's another comparison. Last year's fifth most-viewed viz garnered 320,000 views. This year, our fifth viz had more than a million views. Here are the top five most-viewed vizzes of 2015. For the second straight year, El Nacional's currency-exchange and interest-rate widget nabbed the top spot. 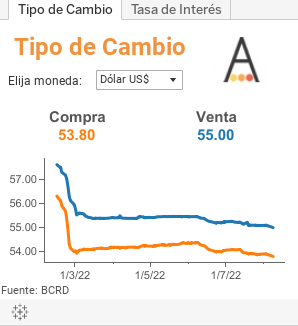 This viz, which sits on the home page of the Dominican Republic's top newspaper, allows visitors to quickly compare the live Dominican peso exchange rate with US dollars and euros. It also shows three types of interest rates—commercial, consumer, and mortgage. El Nacional has pioneered using Tableau Public in this new and exciting way, as a permanent data portal on a website. We've seen other organizations follow this example to great effect. 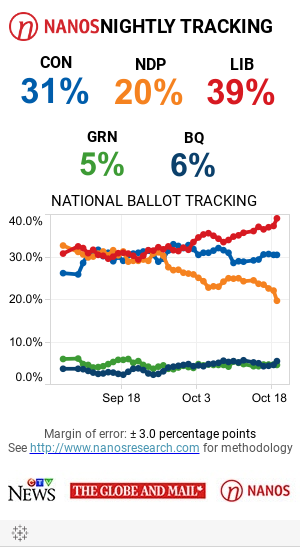 Canada’s CTV News used this dashboard to track nightly poll results as part of its election coverage. This is a model other news outlets can build on. I’m excited to see how US news outlets adopt CTV's technique for election coverage in 2016. Here's another visualization that also appeared on last year's list. 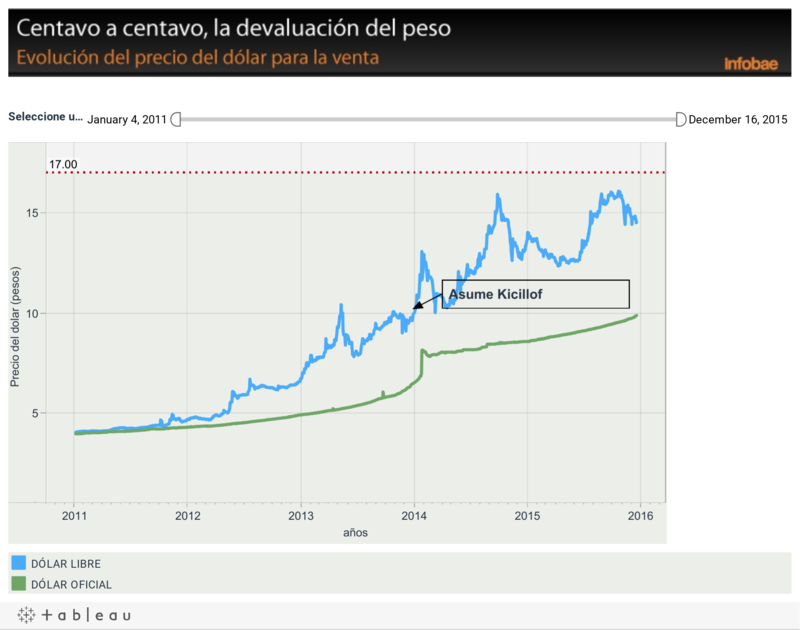 This dashboard, which is permanently embedded on Infobae's website, shows the devaluation of the Argentine peso. In 2012, the Argentinian government and the Central Bank of Argentina began imposing restrictions on the acquisition of foreign currency. As a result some Argentinians have turned to the black market to purchase US Dollars. The Infobae dashboard shows the current exchange rate of the different currencies. Infobae provides its readers with the below Tableau Public dashboard to show the current exchange rate of the different currencies. 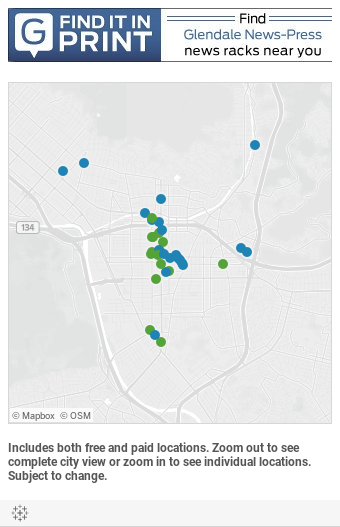 The Glendale News Press visualized the locations of its newsstands. Like the top three vizzes, this viz is permanently embedded on the news outlet's website. It's clear that Tableau Public is a great tool for embedding permanent widgets on websites. This one isn't a permanent widget; it's a truly exploratory dashboard. Zillow has been creating top-notch data visualizations for years now, but this one is Zillow’s most-viewed dashboard of all time. 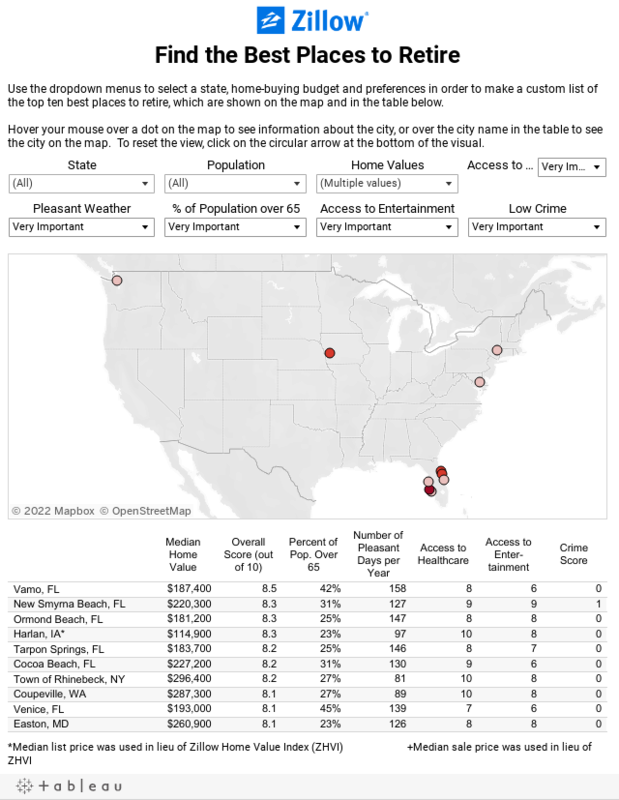 Explore the dashboard below to see which city is your optimal place to retire. Congratulations to the organizations behind the five most-viewed vizzes of 2015. We can't wait to see what 2016 will bring.